The Anhänger (A 2) 0,75t, geschlossen (Anh. 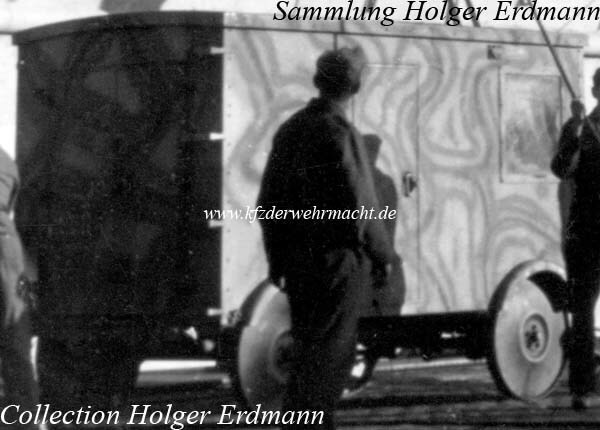 322) - trailer (A 2) 0.75ton, closed - was a trailer of the Luftwaffe. It was built up of an Anhängerfahrgestell A 2 with LC-Kofferaufbau - LC-box body - and specific installations. 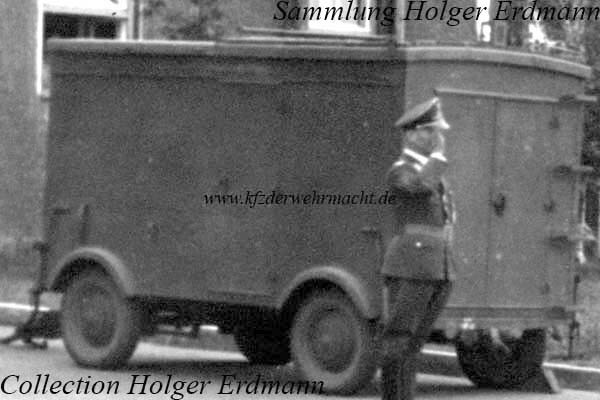 This trailer is most probably a Landescheinwerfer (Gl 1500) (Anh. 322/2). Note the use of the Eisenrad – iron wheel – 700 x 80 on the shown trailer.